As a professional, it is important you equip yourself with the necessary arsenals to effectively network yourself with other professionals. You want to be able to seize every chance that offers you an opportunity to network, as they say, “strike the iron while it is hot”. To do so, you need a medium that is not only able to effectively network but also represents and reflects you as a professional in the industry, and that medium is the business card. A business card is a card that contains all the necessary information about you as a professional; it is a medium that networks you to other professionals efficiently and effectively. However, most usually get carried away when designing their very own business card. Forgetting that the medium is also able to reflect them. That is why, it is highly advisable for professionals to opt for something that is simple and minimal, as it looks elegant, classy, and most importantly professional. With all that said, if you are one those individuals seeking the modern business cards that are simple and minimal to use, here is a list that curates all the best ones. Business cards that are versatile enough to work for every individual with different kinds of jobs. Business cards are actually an important feature in the realms of professionals. They see it as a tool that effectively communicates, networks, and promotes. Communicate by means of reaching out through the information given by the individual. Network, by linking each other in times of dire need of another’s service or expertise. And lastly, promote to whoever gets to see your PSD business card other than the person you gave one to. But most importantly, professionals opt for business cards because it has the capacity to not only impact the individual, but also the entire business in general. You just will never know who and when you will get to meet someone that is of great benefit to your business unless otherwise, you have made plans with a person. 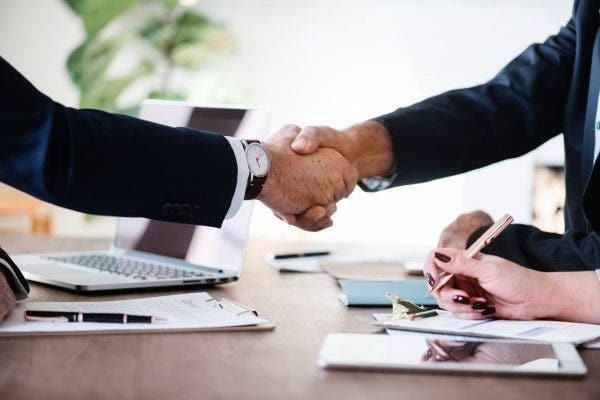 But if you did not, having a business card at the ready will simply allow you to network with those you briefly encounter (whether an interested investor, a potential client or even your colleagues) in a more professional manner. With a business card, informal approach is more likely to be avoided. After meeting someone and doing introductions, you simply do not want to scramble around to look for an empty paper to write on. It ultimately makes you look like an amateur and more importantly frantic and inexperienced. You may also see creative business card designs. You are a professional and so should the mediums you use for networking. As for a business card, it has the capability to elicit the same image that you front to people. It simply is, in a way, a representation and reflection of who you are. 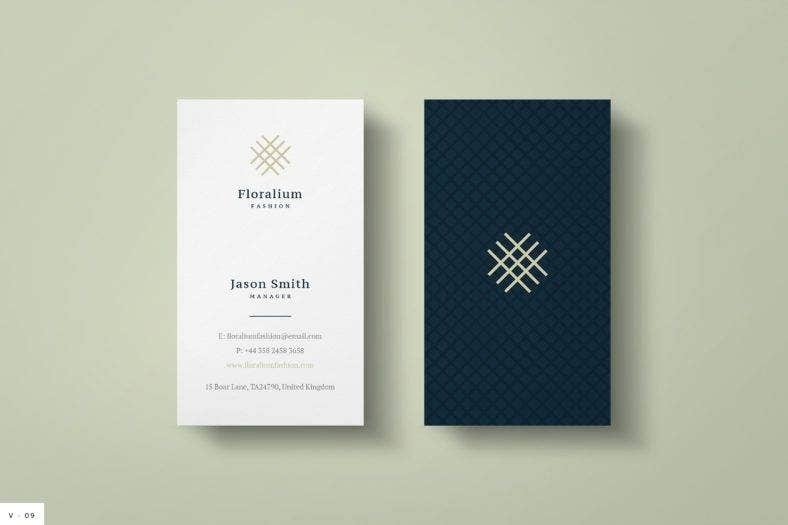 It should be taken into consideration that your business card cohere to how to present yourself, which is professionally, so other professionals will not see a disconnect. You may also see free business cards. 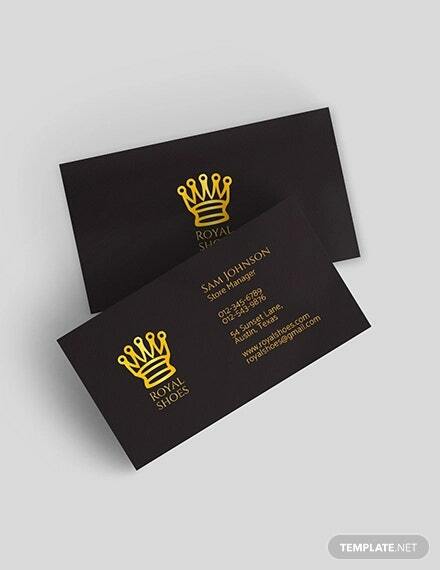 A business card has the capacity to impact the business as a whole. 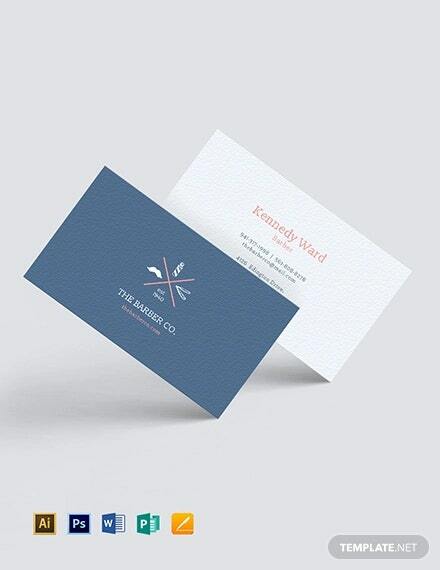 Whichever way you choose to design your business card will ultimately affect the business. And in the case where it is well-designed and somehow impressive, it can lead to the growth of clientele and revenue which is very important for a business as it determines whether a business can strive or not. You may also see free business card samples. Business cards, depending on how it is designed, can help make you and the business you work for stand out from the others. 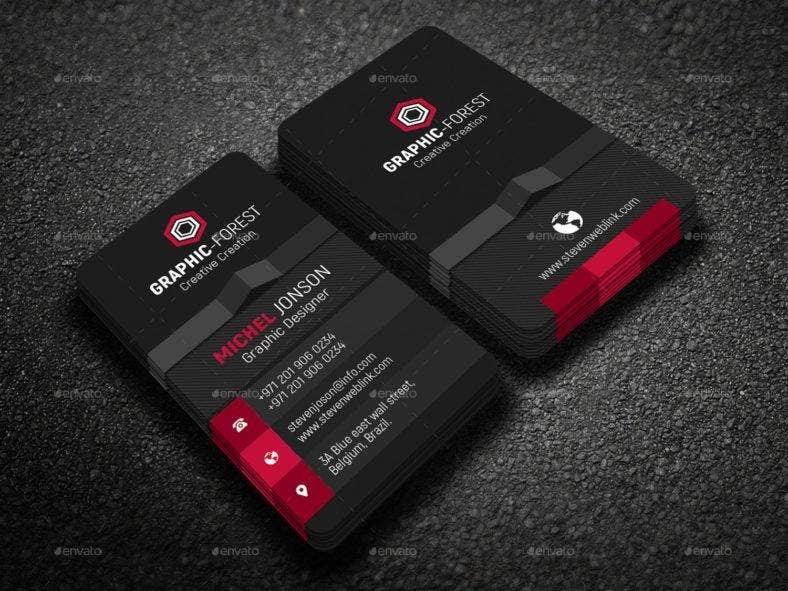 When it is designed in such a unique manner, it will simply help people to notice your business card and ultimately the business. 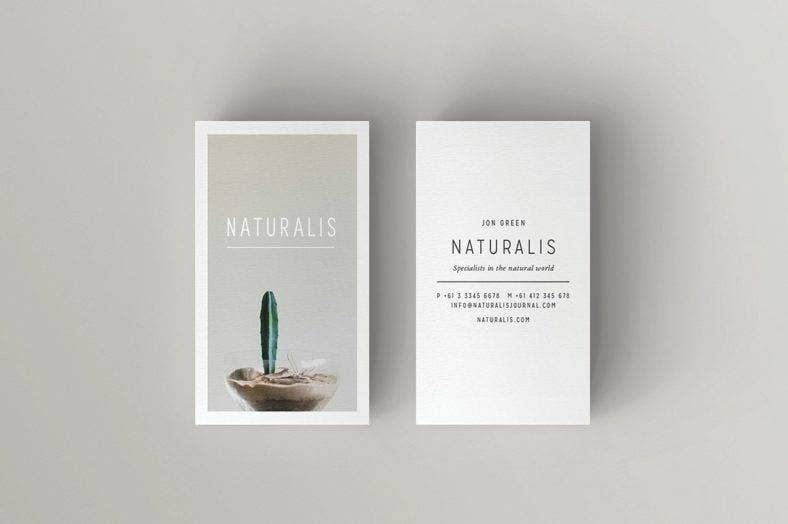 However, unique does not mean or need to have unnecessary details, it can simply and minimal and still be unique from other business cards. You may also see cool business cards. Considering that a business card contains all your necessary information, it can inevitably make people remember you. Even if it was just a brief encounter, with a business card at hand, they will have something to look back to refresh their memory of who you are, what you do, and so on. You may also see construction business cards. A business card is only as effective with the different pieces of information on it. Such pieces of information help in the effectivity of a business card. Not only that, but these pieces of information also make up the design elements of the business card, ultimately creating an effective networking medium. Such pieces of information vary from one business card to another, but these are the ones common among business cards profusely used by professionals. 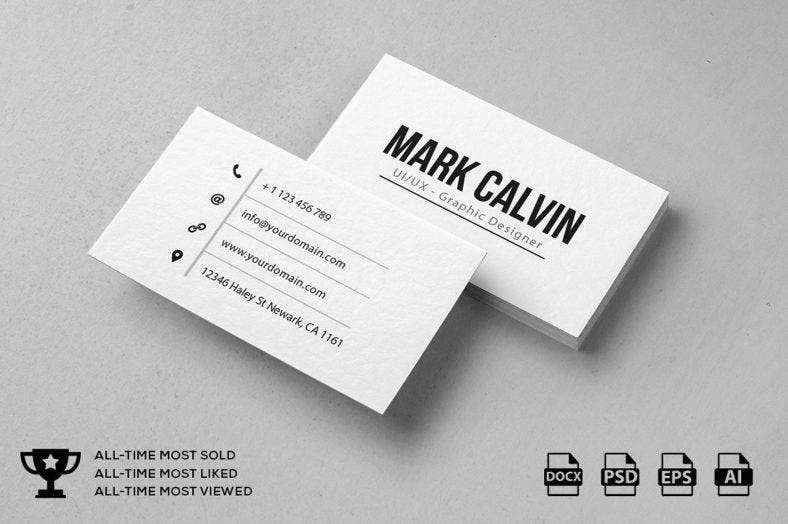 You may also see business cards for designers. You can simply add your name and the kind of job you do, which is a basic and mandatory information on a business card. Doing so simply helps people to identify who you are and what you do. You can also add the name and logo of the company you work for, which in some cases helps with the business’ brand-awareness. And most importantly, you can also add a set of different contact information, all of which should be up to date and in active use. You can add your telephone number, cell phone number, your fax number if you have one, your website URL. Doing so will simply provide other professionals different options of contact information and can reach out to you in whatever kind is most convenient to them. You may also see business cards for constructions. There are tons of ways you can acquire your very own business card. One of which is by simply buying designs and templates online that are readily available. This option presents itself as a practical and efficient option compared to some of its other counterparts (i.e. having it custom made with a professional graphics artist). And there are a few reasons to attest why it is an ideal option. You may also see unique business cards. 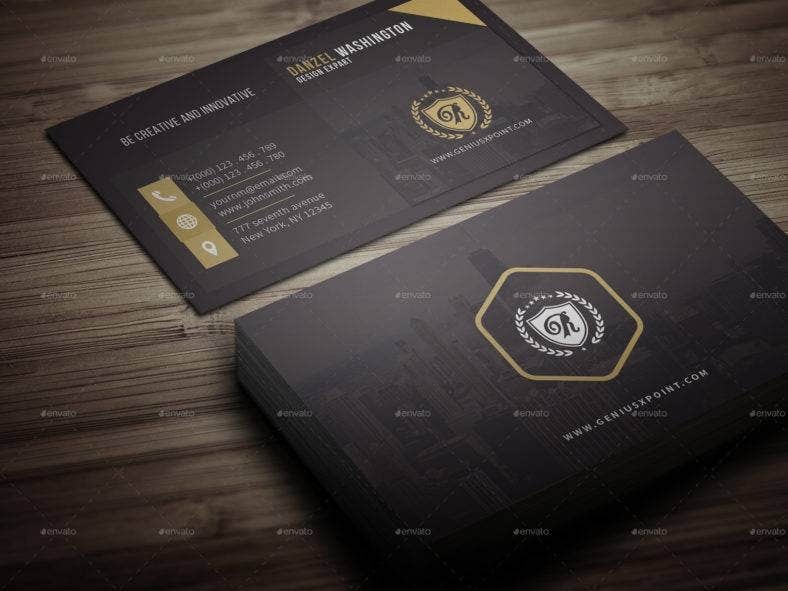 The main reason why most people gravitate towards premade designs and templates, especially with business cards, is that of its affordability. It is generally more affordable compared to other options available out in the market. Like with having it custom made, which its price can be really expensive to be considered a practical choice. You may also see cool business cards. One thing that also appeals to most people is how, despite being affordable, its quality is not being compromised. It offers designs with the best qualities at a really affordable price. A simple testament to why the pre-made option is one that is ideal. 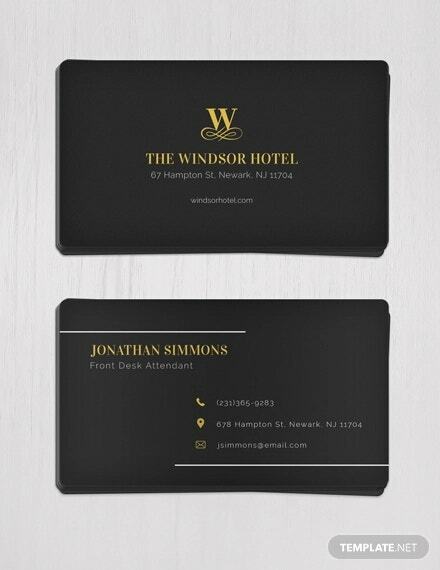 You may also see business card design templates. Considering that these designs and templates are premade, it just makes it easier to work with. You simply have to finish what the graphics designer initially designed or laid out or simply use that as an inspiration to base your own design off of. Also, you do not need to have extensive knowledge about different design software and design principles, all you need are creativity and persistence in order to fully realize your very own business card. Taking into account that these designs and templates are premade, it provides an ample opportunity for your creativity to flourish. 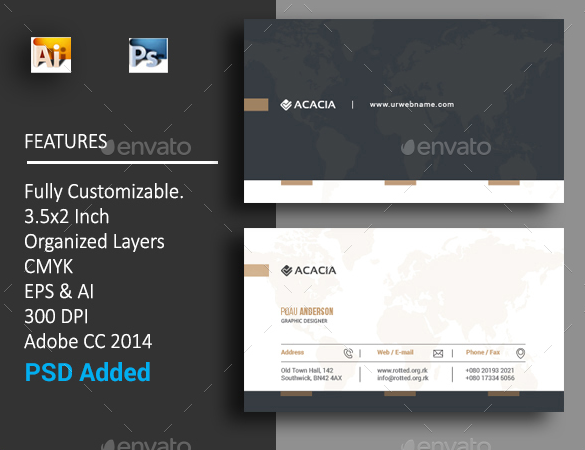 Premade designs and templates are generally fully editable and customizable to your own preference. You can edit the texts, cool fonts, colors, sizes, and few other elements of the design. 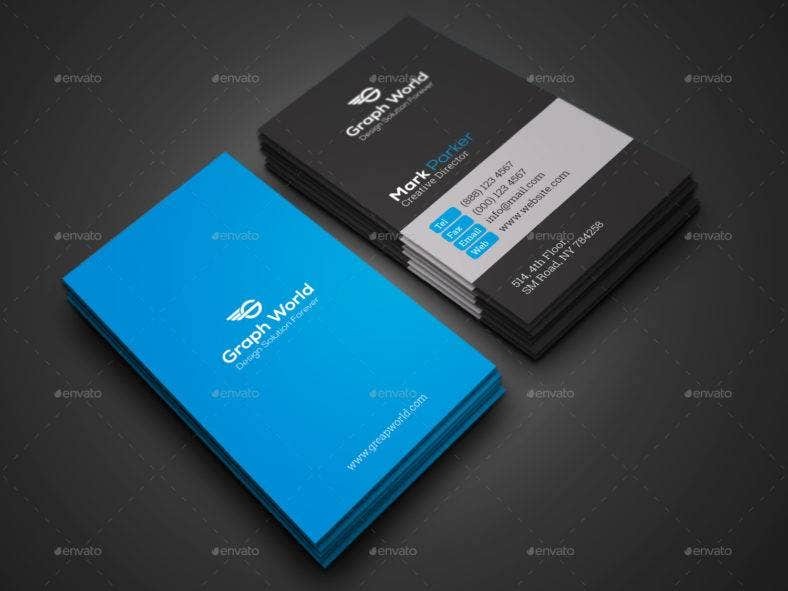 At times, it comes with smart object layers or vector files that enable you to move around elements of the design creating a more unique-looking and more personalized business card. Premade designs and templates come with an array of design choices that are perfect for any professional seeking to use the medium; there are simply a lot of design choices to choose from. 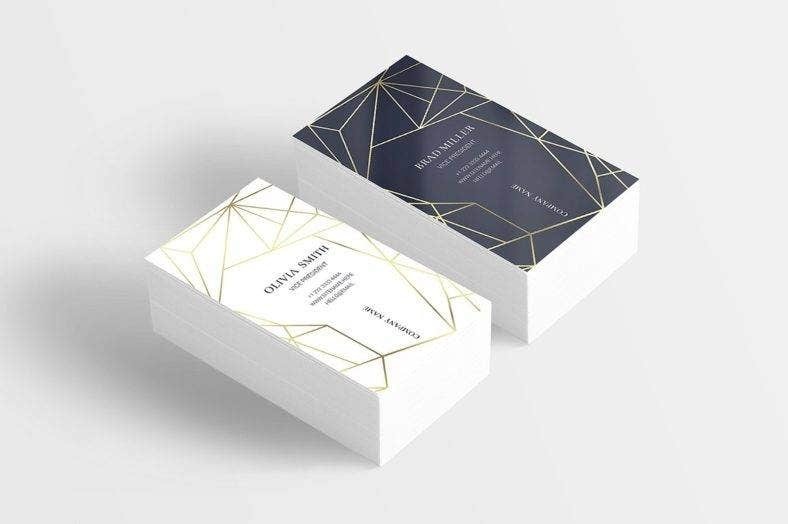 There is modern and graphics business card design ideal for those who want their business cards looking sleek and creative at the same time; printed business card designs for those who want different variations of prints (i.e. floral, stripes, polka dots, and so much more). And of course, simple and minimal business card designs for those who prefer their networking medium clean and streamlined. All of these different designs are all able to elicit professionalism and legitimacy all the while being creative. 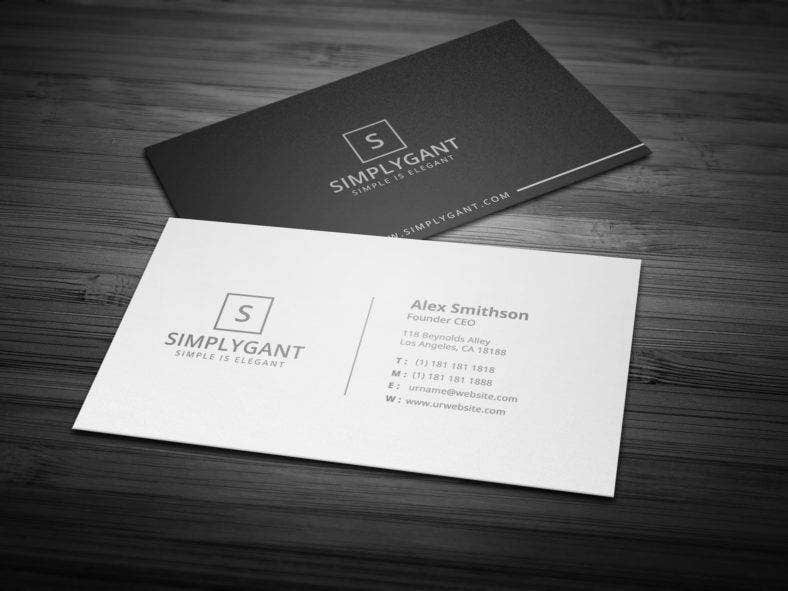 Also, these premade business card designs are perfect for any individual with any profession as these are versatile enough to adapt to any kind. You may also see wooden business cards. Networking in whatever industry is important. People need to connect with other professionals and people in order to make their business known. Networking simply helps a business strive and meet its vision and mission. 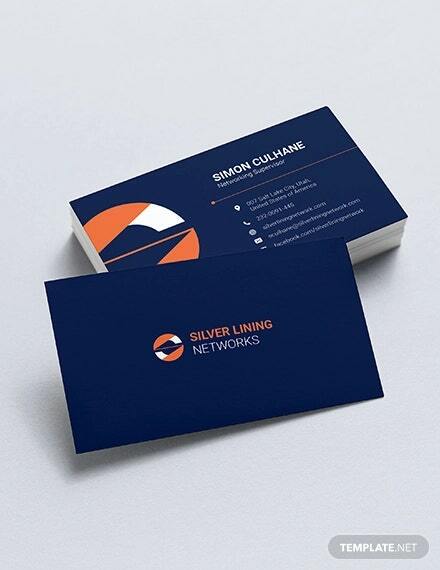 To do so, one should aptly network with a business card as it contains all the necessary pieces of information needed to effectively network with other professionals. You may also see glossy business cards. If you find this article helpful in any way, do not forget to bookmark this page for future references. 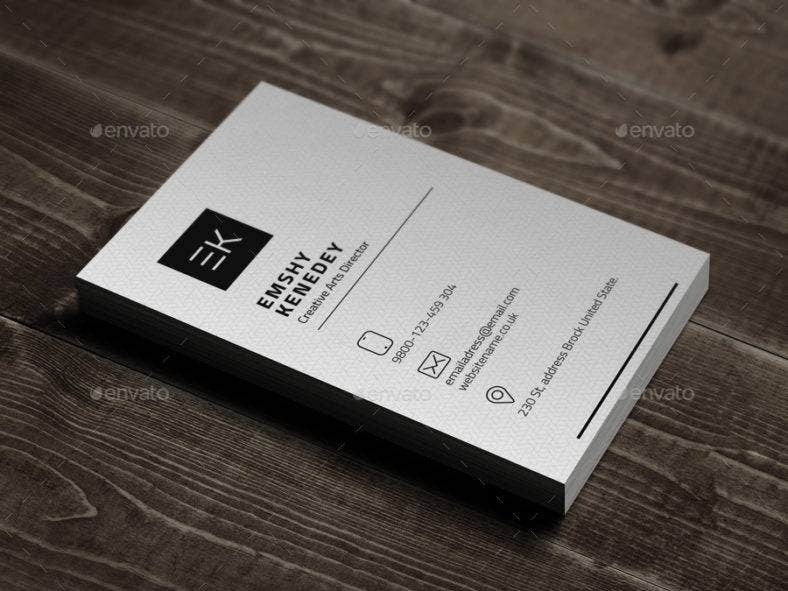 And, kindly share this with other professionals seeking the best simple and minimal business card designs and templates to use in their networking endeavors. 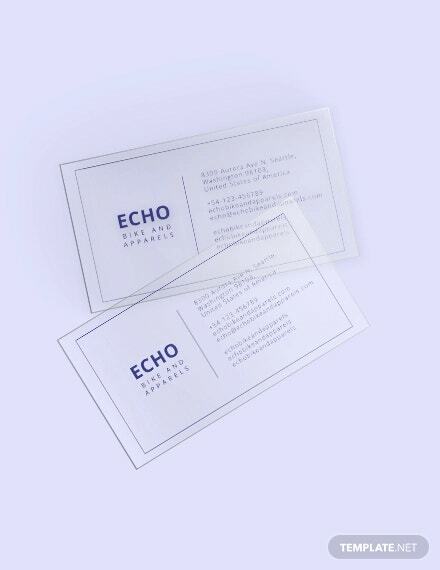 You may also see transparent business cards.